Atlanta Mission serves more than 1,000 men women and children every day, providing emergency shelter, rehab and recovery services, vocational training services, and transitional housing. HomeAid Atlanta partners with area home builders to help build new lives for homeless families and individuals through housing and community outreach. Since 2001, HomeAid Atlanta has added more than 364 beds to help the transitionally homeless and has saved service providers over three million dollars in building and renovations costs, allowing them to focus more on their mission of helping the homeless get into stable housing. We believe collaboration is the key to solving some of society’s most complex problems. HomeAid Atlanta and Atlanta Mission offer a terrific example of how working together can help nonprofit organizations reach more people and do more good. 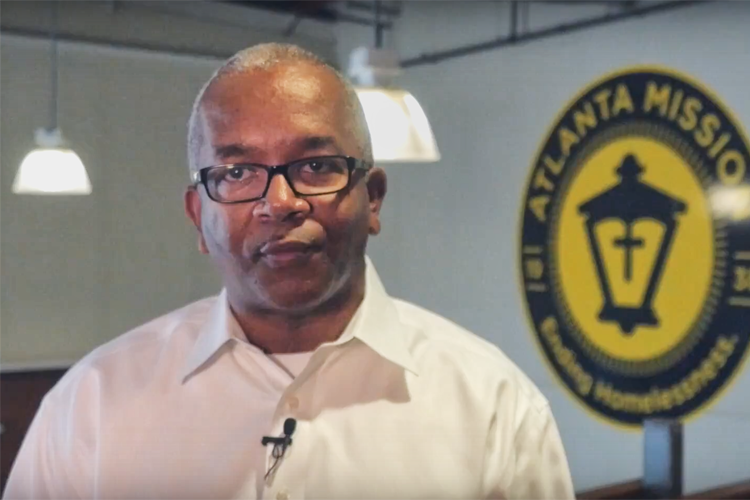 As you’ll see in this video, HomeAid Atlanta helped Atlanta Mission in 2013 by remodeling their Fuqua Hall kitchen, used by men in Atlanta Mission’s transitional housing program. This is a great example of what effective collaboration in the nonprofit sphere can look like. The #BetterTogether campaign showcases the important efforts of nonprofits TechBridge has had the privilege to work with. We are proud to have provided technology solutions that have assisted these organizations on the front lines of social change in our communities—alleviating homelessness, fighting poverty, helping kids do better in school, making sure seniors get proper meals, and more. Our solutions build the capacity of nonprofits to achieve better results and to form measurable and sustainable community-based collaboratives. Because social change is a community effort, you’ll also be hearing about the generous sponsors, amazing technology partners and tireless volunteers and staff who enable the transformational work we do. We are, indeed, #bettertogether.